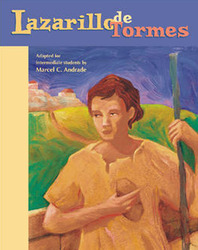 A reader for intermediate Spanish students, Lazarillo de Tormes is a classic picaresque novel that introduces students to a panorama of Spanish history, customs, and traditions of the 1500s. An audiocassette helps students enjoy one of the masterpieces of Spanish literature. The reader is softcover, 6 × 9, and 64 pages in length.